Get a professional to help you so you don’t pull your hair out. If you, like many other people, find the whole tax process confusing, there are professionals out there who can help you out. These services not only work with taxes, but also can help with a variety of other things, including parts of running a new business. In your schedule, you most likely have a lot to worry about, and having to deal with taxes and other financial aspects of your life without the proper assistance can be very stressful. Luckily, these services are out there and offer a wide variety of areas that can get you back on your feet and help you move forward successfully. The biggest area of assistance you can get from a tax professional is with tax documentation. Filing your taxes every year is a pain for everyone, but if you had a year that leaves you with a bunch of confusing paperwork, getting help from a tax professional is essential to ensure you get everything correct and you don’t miss out on any returns you may be entitled to receive. 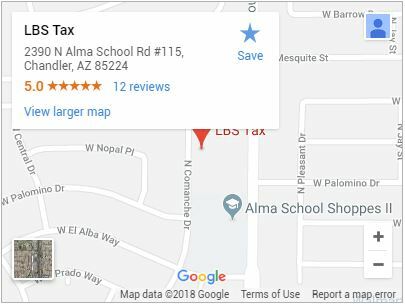 With a Chandler tax professional to help you out, you can be sure that your taxes are done correctly and you can file them with confidence. Running a business can be very challenging, especially if you are just starting out and do not have a market yet. An accountant in Chandler can help you keep track of all of your profits and expenditures to make sure you stay within the realms of your budget. Obviously, starting a business requires a heavy investment, but an accountant can help you keep your funds in order and help you plan ahead for future expenditures that may come up. Don’t fall behind on your budgeting and accounting work. Hire a professional to handle the details for you so you can get back to running your business successfully. With the help of financial statements, you can become better equipped to make smart business decisions that will lead to more success for you into the future. A professional can help you set up statements and understand the purpose they serve. Everything from balance sheets and income statements to cash flow statements and payroll management can be handled by these financial statements. This means there will always be solid records of everything involving your financial needs. Get a professional to help you and you won’t lose track of your budget as you go along.